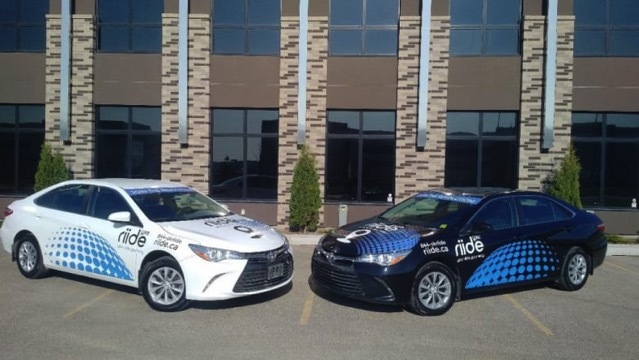 Uber-like ride-sharing service ‘Riide’ is set to open its first Canadian branch in Martensville, Sask following the city council’s approval of the service to receive 10 local taxi licenses, CBC News is reporting. Riide is currently operating in the United Kingdom, Ireland, and some parts of the United States. Martensville, which is located 19 kilometers north of Saskatoon, will be the company’s first Canadian offshoot, according to the taxi license application filed by Carlo Triolo, the general manager of United Group of Companies, which owns Saskatoon’s United Cabs. Riide rates will be on par with the fares charged by Saskatoon cabs, Triolo wrote in the application. The minimum taxi fare in Saskatoon is $3.75. Riide plans to add more Saskatchewan communities to its service map. Saskatoon is still working on the bylaw that would allow ride-sharing services, also known as transportation network companies, to hit the city’s roads. Triolo’s application for the Martensville Riide is the first to be approved under the city’s new Vehicle For Hire Bylaw.